My offering today is a digi card. 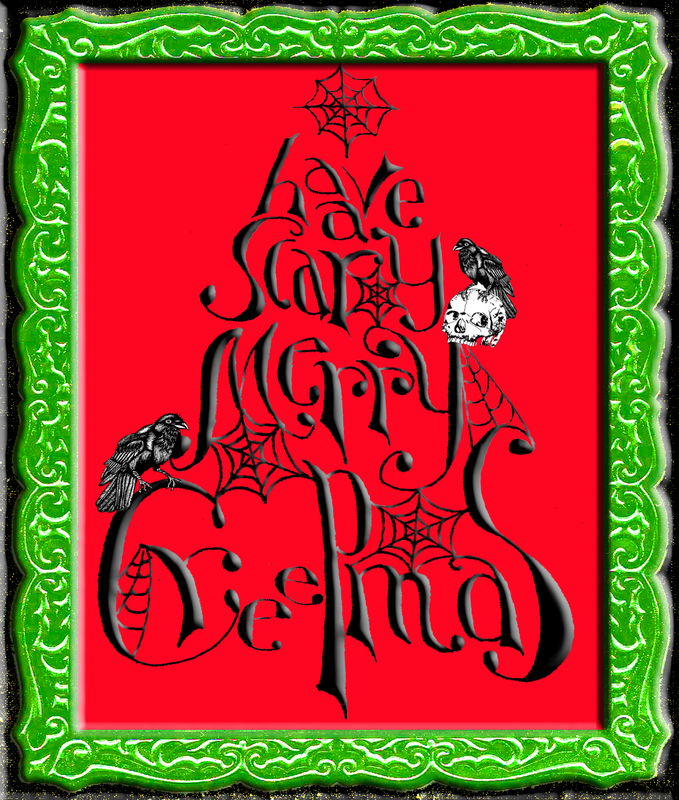 I drew the words that were inspired by a popular holiday image (I was not able to find an original source for it, so I won't show it, but, if you've seen it, you'll know right away the one I'm referring to). I scanned the drawing and added dimension to it in Photoshop. The ravens and skull are digis from Smeared Ink called Quoth the Raven and I saved the frame from a greeting card and scanned it. 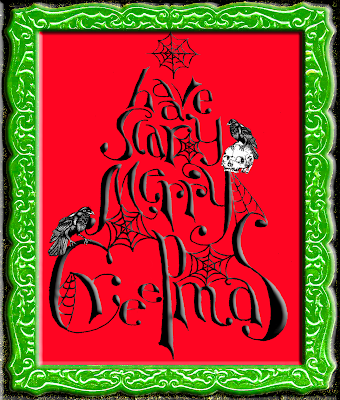 Great digi creation...love that lettering and the Smeared Ink additions. Very cool digi card...love the bright colors! Fabulous digi card! Love the frame that you repurposed :) Very cool. Cool, creepy digi card! Totally suitable for Creepmas!